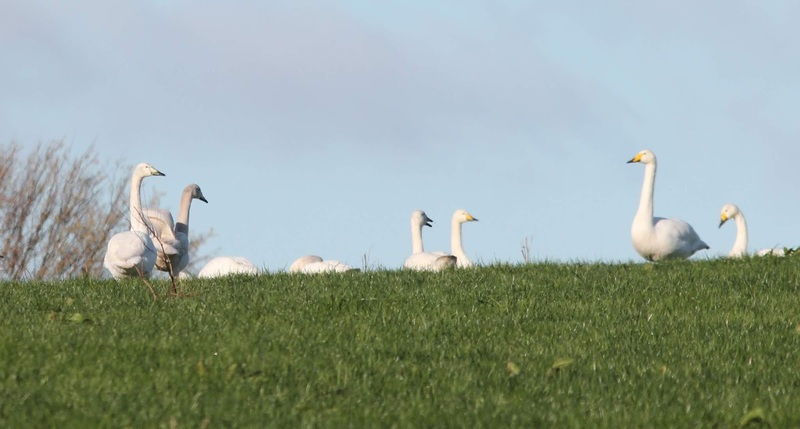 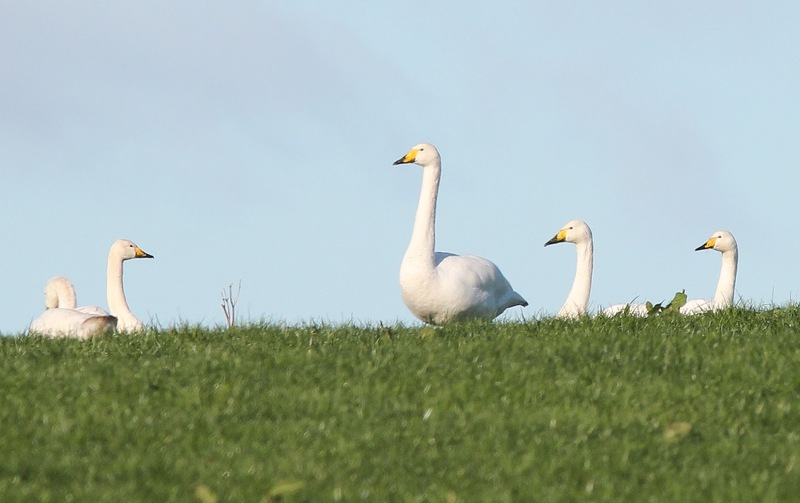 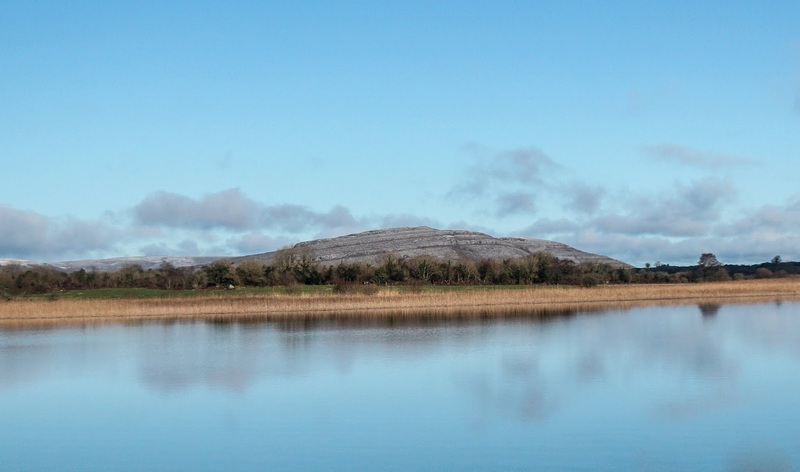 I was on childminding duty, a morning with the sun out seemed like a good time for a round up of birds around the loughs of Corofin, so two small children accompanied me for the drive. 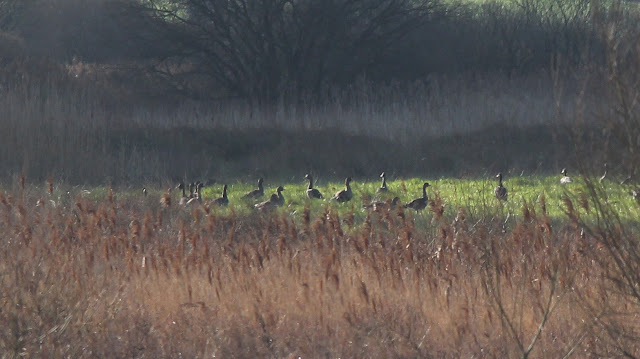 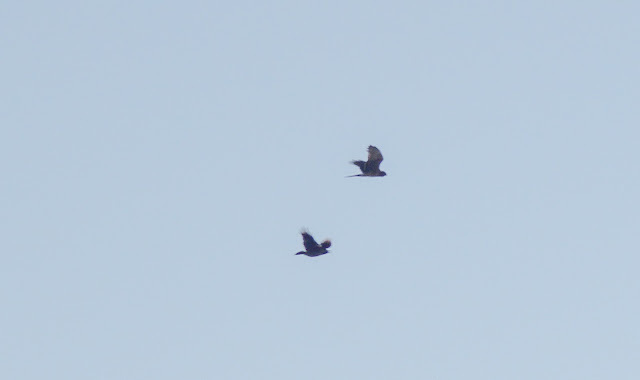 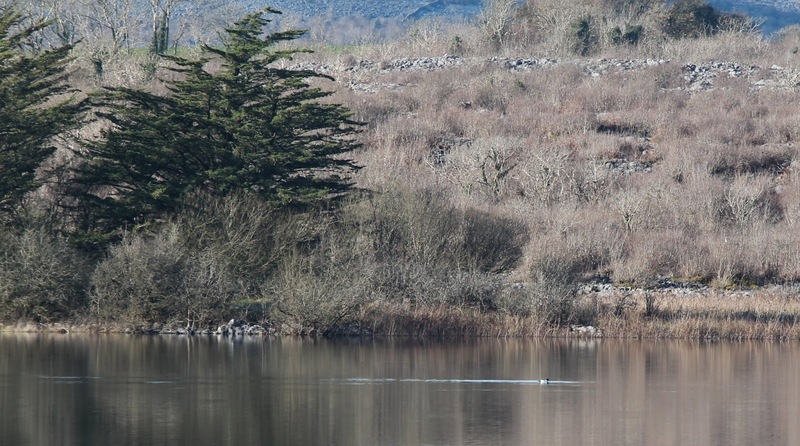 The Loughs were low in wildfowl, with small groups of Wigeon and Teal in corners of Lough Atedaun. Lough Cullen only had a Great crested Grebe on it ,the Whoopers were in the usual field up the road. 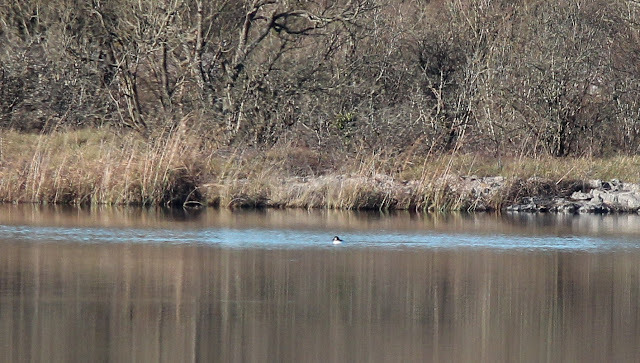 A lone Drake Goldeneye was the only bird on Lough Bunny.